Mulvain Woodworks takes great pride in the many different slabs we create. 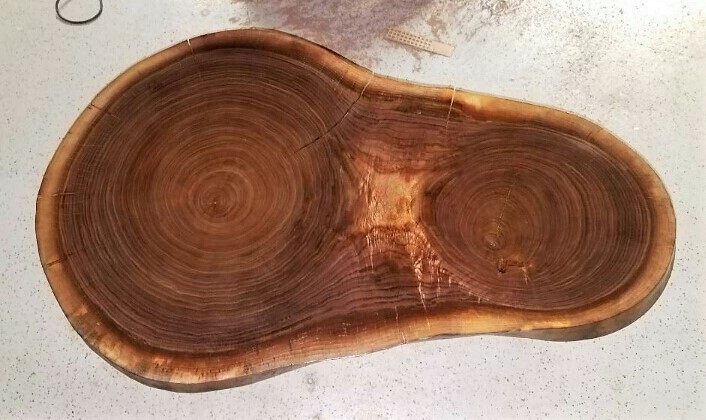 Slabs are great for tables, counters, desks, benches, and many other creations. Our slabs are primarily walnut, but come in other wood species, such as ash, white oak, cherry, pine, and maple. Each slab can be either surfaced or rough— your choice! The slabs are kiln dried in order to ensure stability. For more details and quoting, call 815-248-2305 or stop in office.